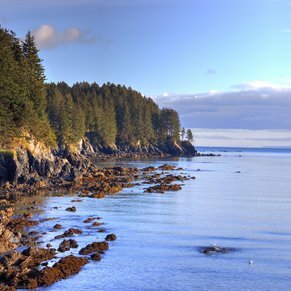 Kodiak, Alaska is famous for huge Kodiak brown bears, world-class sport fishing and the magnificent green that the island turns during the summer, which is why Kodiak is called Alaska's Emerald Isle. 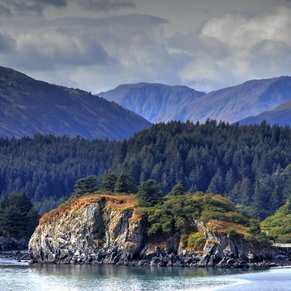 The Kodiak Island Archipelago and the Katmai Coast are rich in sea, land and bird life, and Kodiak's vast wilderness serves as the ideal backdrop for everything from sport fishing to a leisurely hike. 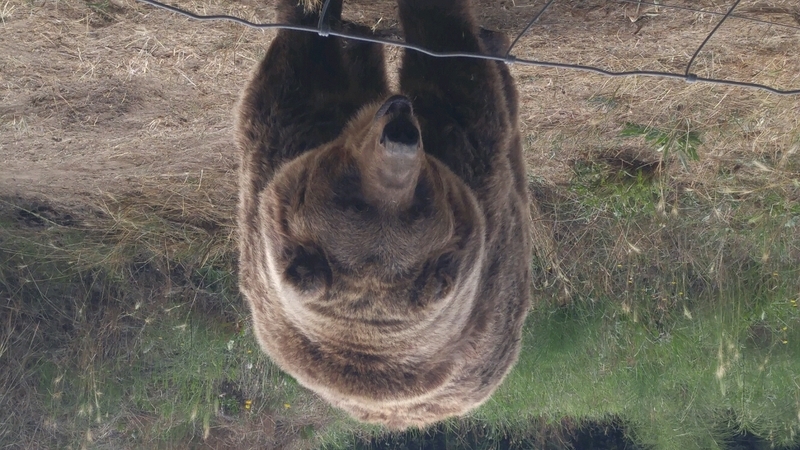 We did not get to experience Kodiak. There was a fall Gulf of Alaska storm that had rocked our ship two days prior to when we were to visit this port. Unfortunately, the storm hung around for several days, and our ship’s Captain had to make the difficult decision not to go to Kodiak. There is a narrow entrance to the Kodiak harbor, and with the very high winds the storm was producing it was unsafe for us to visit Kodiak. We experienced this same storm two days earlier and everyone, while disappointed, did not want to experience it again. I hope to get to Kodiak in the future to see and experience the history this island has experienced. We took the historic tour including the Alutiiq Museum and Fort Abercrombie. We also visited the Orthodox Church across the street from the Alutiiq Museum which is very nice. The Bishop was visiting and there was a service about to commence but the Priest and deacons were very welcoming to all the people on the tour her were wandering over from the Alutiiq Museum when they heard all the church bells ringing. Fort Abercrombie was nice. Good views and the little museum they had was pretty cool with working communications systems that were used in the war. 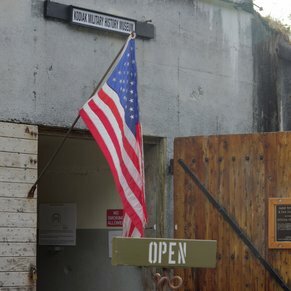 It's a hands on museum and it even has an M1-Garand, working switchboard, working telegraph that you can try and some very nice volunteers that work there. Besides the pretty scenery, we were able to pick and eat some berries that taste like raspberries there. I was told there were wild blueberries there also but i didn't know what a blueberry bush looks like. Some nice trails are there for hiking and waking. Not much to do here except take the Walmart shuttle to pick up some needed items. However this Walmart does not provide bags so bring your own. There are currently 0 discussions about Kodiak, Alaska.